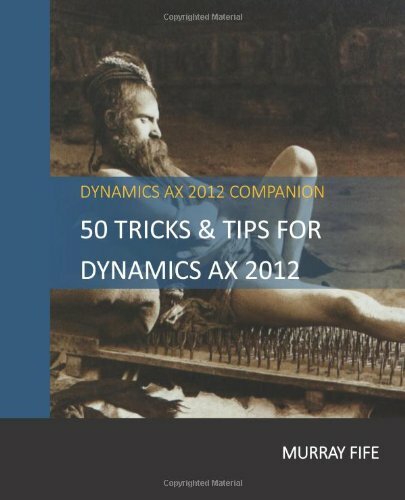 With Convergence coming up I have been preparing for my presentation that I’ll be giving on the Friday of that week (UBAX002: How2: 40+ tips in 90 minutes in Microsoft Dynamics AX 2012) – which if you are attending Convergence I would love to see you there. In the process of planning it out, I thought that I would compile all of the content ahead of time and I converted it over into a small 400+ page book for you all, in case you want to get a sneak peek of what I will be showing (or if you can’t make it to convergence, then reading it will be just like I’m there… minus the New Zealand accent). If your are interested in taking a look, then you can see it on the CreateSpace here: https://www.createspace.com/4661487 and it should also be available on Amazon within 5 or so days.